The coming of the winter twilight clarifies the mind. With the snow the light becomes more intense, the dark more evident, and the remaining colors more obvious. The heightened contrast forces us to think. 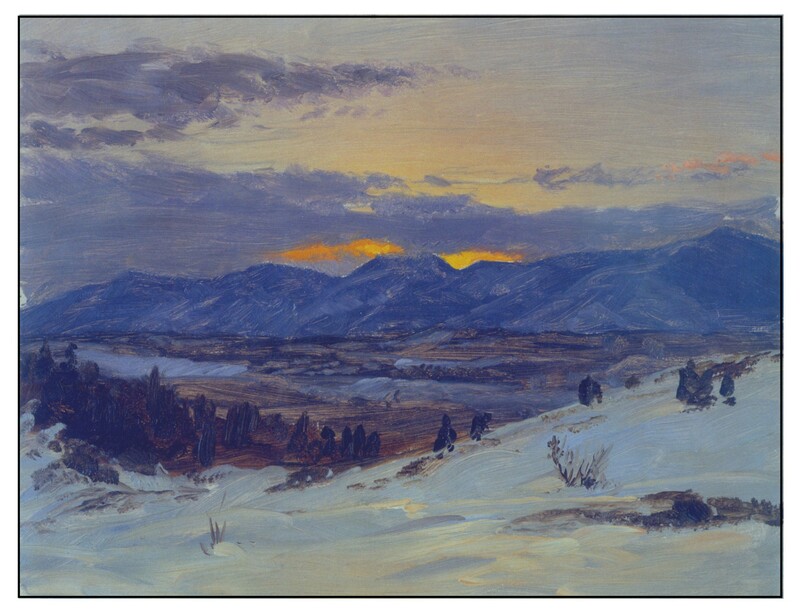 The 1871 painting Winter Twilight from Olana is by Frederic Edwin Church (1826-1900). He was a successful member of the Hudson River School, and at the time of the painting lived on the Olana estate overlooking the river. This small painting (10 by 13 inches) is a vivid representation of winter.